To date, most inherited cases of breast cancer have been associated with two genes: BRCA1, which stands for BReast CAncer gene one, and BRCA2, or BReast CAncer gene two. The function of these genes is to keep breast cells growing normally and to prevent any cancer cell growth. But when these genes contain abnormalities, or mutations, they are associated with an increased breast cancer risk. Abnormal BRCA1 and BRCA2 genes may account for up to 10% of all breast cancers. Women diagnosed with breast cancer that have an abnormal BRCA1 or BRCA2 gene often have a family history of breast cancer, ovarian cancer, or both. 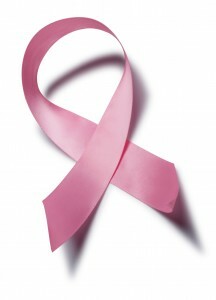 However it’s also important to remember that most women with breast cancer have no family history of the disease. Identifying BRCA1 and BRCA2 has led to new techniques for lowering, detecting, and treating breast cancer and lowering the risk for the disease. For women who wish to be tested, we can now establish whether the two genes are normal or not. But there’s still a lot more to learn about these genes. And other genes probably also play a role in the development of breast cancer, for women both with and without a family history of the disease.